(1) I no longer entertain the idea that Josephus may have written a “lost reference” in the Jewish Wars to the death of James the Just that was the source of Origen’s reference to Josephus pinning the destruction of Jerusalem on James. (2) I have expanded on the argument that the 20.9.1 reference requires an earlier passage (argument 6 below). (3) I have decided against the idea that only the words “who is called Christ” were interpolated (argument 1 below) as it appears to be weaker than the idea that the longer phrase “the brother of Jesus who is called Christ” was interpolated. (4) I have added some examples of references similar to the proposed “one whose name was James” in Ant. 20.9.1 (argument 2 below). (5) I had previously discounted the argument that the reference to “Christ” without explanation would be unusual for Josephus (argument 4 below) but with somewhat superficial objections. (I had objected that Christ would only have been a “nickname” emptied of significance in the passage when used by Josephus.) I’m not sure if this objection (or a different one) can be restated to be more cogent. (6) I have taken a different tactic than pretty much everyone I’ve read (as a possible alternative response to arguments 4 and 5 below for authenticity) by saying that the possibility must be considered that a second century scribe who glossed the phrase “the brother of Jesus who is called Christ” may not have been Christian but rather may have been Jewish. Also, this post brackets the Testimonium proper, only because much thought on Jesus in Josephus (and perhaps more of it recently) wants to treat the reference in 20.9.1 in itself, divorced from its service (for example, in Meier’s A Marginal Jew) as handmaiden to the argument for the authenticity of a reconstructed Testimonium. Thus follows the current version. The following passage contains the shorter reference to Jesus. Although Rajak is an exception, most have granted that this passage is substantially authentic for two reasons. However, there has been considerable dispute as to whether the phrase “the brother of Jesus who was called Christ” was part of the original passage. Wells notes: “Schurer, Zahn, von Dobschutz and Juster are among the scholars who have regarded the words ‘the brother of Jesus, him called Christ’ as interpolated.” (p. 11) To this list, we could add Karl Kautsky, S.G.F. Brandon, Charles Guignebert, and Twelftree. Before presenting the arguments for and against the authenticity of this phrase, it is necessary to offer an excursus on the references to this passage in the patristic authors. Here are the references from Origen, Eusebius, and Jerome. Scholars such as Steve Mason think that the reference derives from Origen misreading Josephus. It is possible to see how this has happened, especially under the influence of Christian traditions according to which the death of James was the cause of the destruction of Jerusalem that may have been the filter through which Origen read the twentieth book of the Antiquities. This suggestion is just that much stronger if it is accepted, as I have argued elsewhere, that the text attributed to Hegesippus, with the account of the fall of Jerusalem following the death of James, may have previously circulated under the name of Josephus. Eisenman has suggested that this reference derives from a copy of Josephus from a passage distinct from our Ant. 20.9.1 reference, which nowhere says that the death of James led to the destruction of Jerusalem. This is difficult to accept, primarily because it is difficult to understand its removal from the manuscripts. That some attributed the fall of Jerusalem to the death of Jesus is not a very compelling explanation. Scribes left references to the fall of Jerusalem being due to James the Just in Christian literature and would be even less shocked to find such opinions in a non-Christian author. It’s timid stuff when compared to some pagan texts, such as those of Lucian, that have been preserved. 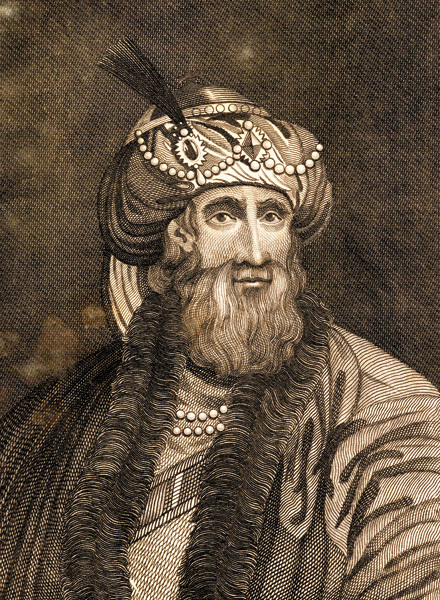 Zvi Baras writes: “Such an assumption [that there was a lost reference] overlooks the question of why the Testimonium passage should have remained in Josephus’ text, while the story of James’ martryrdom – neither disdainful nor defamatory toward Christ – should have been excised from Josephus’ writings.” (Josephus, Judaism, and Christianity, p. 343) Moreover, Zvi Baras quotes Against Celsus 1.47 and Ecclesiastical History 2.23.20 and comments: “The precise parallelism between the two texts has already been remarked by Chadwick, who proved that Eusebius quoted Origen’s passage verbatim, but changed it to direct speech.” (op. cit., p. 345) So it seems likely that there was no other passage concerning James to be found in Josephus. Of course, this theory then casts aspersions on the ability of Eusebius to quote Josephus accurately. Wells states, “The words have the character of a brief marginal gloss, later incorporated innocently into the text. Josephus probably wrote of the death of a Jewish Jerusalem leader called James, and a Christian reader thought the reference must be to James the brother of the Lord who, according to Christian tradition, led the Jerusalem Chruch about the time in question. This reader accordingly noted in the margin: ‘James = the brother of Jesus, him called Christ’ (cf. the wording of Mt. 1:16: ‘Jesus, him called Christ’) and a later copyist took this note as belonging to the text and incorporated it. Other interpolations are known to have originated in precisely such a way.” (p. 11) Doherty elaborates: “If he [Josephus] knew nothing else about James or chose to say nothing more, he would simply have used some equivalent to ‘a certain James’ or ‘someone named James.’ And what in fact do we find in the Greek? The words referring directly to James are: Iakobos onoma autoi. Translations render this ‘James by name’ or ‘whose name was James’ or ‘a man named James.’ Such a phrase could have stood perfectly well on its own (with a slight change in grammatical form), and had the reference to a brother Jesus added to it by a Christian interpolator.” (pp. 216-217) While these observations do not prove that the reference was interpolated, they do indicate the possibility of the interpolation hypothesis. References from Josephus similar to the phrase “one whose name was James,” where there is also no noun phrase that it modifies, include Ant. 10.6.1, Ant. 11.5.4, Ant. 14.9.4, and Life 56. Doherty argues: “Why would Josephus think to make the Jesus idea paramount, placing it before the James one? James is the character that brought about Ananus’ downfall, while mention of Jesus is supposed to be an identifying afterthought. It would have been much more natural for Josephus to say something like: ‘(Ananus) brought before them a man named James, who was the brother of Jesus, the one called (the) Christ . . .’ On the other hand, if the phrase is the product of a Christian scribe, it may be understandable that he, consciously or unconsciously, would have given the reference to Jesus pride of place.” (p. 217)This argument is weak. The fact that “the brother of Jesus who is called the Christ” is placed first, in the accusative, does not mean that the reference to Jesus is given some kind of “pride of place.” It is simply one grammatically correct way of identifying James. Doherty suggests that a more likely reference would identify Jesus by his crucifixion under Pilate. Another possibility is that Josephus would not refer to Jesus at all but rather make use of a more traditional patrilineal reference. Josephus refers to him again in Book 2 Section 433 as follows ‘”In the meantime one Manahem, the son of Judas , that was called the Galilean (who was a very cunning sophister, and had formerly reproached the Jews under Quirinius , that after God they were subject to the Romans )” – considerable detail is included. In Wars, Book 7 Section 533 we read about Judas again – “… Eleazar, a potent man, and the commander of these Sicarii, that had seized upon it. He was a descendant from that Judas who had persuaded abundance of the Jews , as we have formerly related , not to submit to the taxation when Quirinius was sent into Judea to make one; …’ . So a change of book causes Josephus to say ‘as formerly related’. Judas was also in Antiquities 18 ‘Yet was there one Judas , a Gaulonite, of a city whose name was Gamala, who, taking with him Sadduc, a Pharisee, became zealous to draw them to a revolt , who both said that this taxation was no better than an introduction to slavery, and exhorted the nation to assert their liberty’. So Josephus usually put in detail and when he referred back from Ant. 20 to Ant. 18, he reminded the reader that it was in a different book. None of these factors apply to Josephus’s reference to Jesus in Antiquities 20. A Christian interpolator would naturally need not need to supply such detailed back-references. His readers would know exactly who Jesus called the Christ was. This kind of consideration weighs especially against those who have removed the reference to “Christ” from the passage on Jesus. Those who see the 20.9.1 reference as being explained earlier in 18.3.3 should, at a minimum, consider the likelihood that the original Testimonium would likely have to contain the term “Christ” (the “credabatur esse Christus” type of reference), which would make some sense out of the reference in the later book as well as the reference to Christians being named after him. It presumes that the reference in 20.9.1 was intended to be a cross-reference to an earlier place. Even with this improvement to the reconstruction of a Testimonium, this argument has some value, given the parallels drawn to the way Josephus refers back to another book in other cases. This argument does not apply to those who see the 20.9.1 reference as the sole authentic mention of Jesus, but the next one does. Finally, it has been argued the identification of James by way of mentioning Jesus presupposes that Josephus had previously mentioned Jesus, while there are several arguments that Jospehus did not write any part of the famous Testimonium. This argument is important if not singularly decisive. It must be said, however, that Josephus may not have intended this identification to serve as a reference to an earlier passage. The general plausibility of such an identification without any earlier reference is established from the similar example in Wars of the Jews 2.247 (see above). However, it is questionable to attempt to compare Christ to Pallas in the historical context of a first century Roman audience. Pallas, with his secular fame in Roman society, needed no explanation. Josephus, in his desire to provide the historical backdrop of Judea prior to the revolt, would have provided an explanation in the appropriate place for anybody mentioned in his narrative “who is called Christ” who is significant enough to serve as a well-understood identifier. If this Jesus who is called Christ is assumed to be a name well-known to his audience, it would be remiss for Josephus in his role as a historian to decide to pass over his life in silence, given that Jesus was not, like Pallas, a politician in Rome who would be unconnected to his narrative but instead a Jewish leader in Judea under Tiberius when Pilate was prefect who would find a place in theJewish Antiquities of Josephus. (Even if it were a deliberate purpose of Josephus to omit mention of Christians or Jesus that explains the absence of an earlier passage, then that same purpose makes such a reference in the 20th book of the Jewish Antiquities counter-productive to his aims.) Whether we want to say that Jesus were not well-known or that he were, in either case, it is more likely that Josephus would have given an earlier account of Jesus, given the later reference, than that he would not. The reference appears in all extant manuscripts. However, as Doherty points out, “we have nothing earlier than the 10th century, and by then one of the universal tendencies in manuscript transmission, that all copies of a well-known passage gravitate toward the best-known wording, as well as toward the inclusion of the passage itself, would have ensured that this reference to Jesus in its present form would long since have been found in all copies.” (p. 216) More importantly, however, the reference appears in the works of Origen in the early third century. This is strong textual evidence for the reference. However, room must be made for the possibility of conjectural amendation when the other passage referring to Jesus also appears in all extant manuscripts of Josephus but is known to have been the result of tampering. It is sometimes suggested that, if a Christian was tampering with this passage, he would probably also want to deny the charges against James as well as get it “straight” with Hegesippus’ version of his death. However, Doherty rightly counters that there were limitations to the amount of tampering that could take place in “a tightly-packed account of James’ death and its repercussions on Ananus” (p. 218). Moreover, if the reference were originally a marginal aside as suggested by Wells, then there would be no thought of purposely altering the passage; a later scribe would have included the marginal gloss under the assumption that it belonged in the text. If we assume that there was originally a note in the margin identifying this James as “the brother of Jesus who is called Christ” and that this note was later incorporated into the text, then there would be no intentional interpolation, and the idea that the interpolator would have wanted to more definitely assert messiahship collapses. For the few occurences of the phrase “called Christ” in the New Testament, see Matt 1:16 (Matthew’s genealogy, where it breaks the long pattern of only personal names); Matt 27:17, 22 (by Pontius Pilate); John 4:25 (by the Samaritan woman). Twelftree, “Jesus in Jewish Traditions,” 300, argues from these instances that “called Christ” is “a construction Christians used when speaking of Jesus” and therefore an indication that this passage is not genuine. He also cites John 9:11, but there the phrase is “called Jesus” and so does not apply to this issue. But if these passages are indicative of wider usage outside the New Testament, “called Christ” tends to come form non-Christians and is not at all typical of Christian usage. Christians would not be inclined to use a neutral or descriptive term like “called Christ”; for them, Jesus is (the) Christ. I also note that no extracanonical works in the second century use the phrase “Jesus who is called Christ,” even though this would be the period when an interpolation would have to have been made. On the other hand, as with the next argument, a different identity for the postulated author of such a marginal gloss may explain all the data. It’s a fair note. A search of the ante-Nicene Church Fathers, the extracanonical writings, and the New Testament will produce no instance in which James is identified as “the brother of Jesus.” It may not be the most probable phrase to find from an ancient Christian author. It suffers, however, from attempting to make an argument about the style of someone who is otherwise unknown, who left no other writing, simply from the scribe being a Christian. It also contains the assumption that the addition came from a Christian scribe, which might actually be controverted if the considerations about the style of reference and its potential skepticism are taken just as seriously as the considerations against a solitary, unexplained reference here from the historian Josephus. The outcome of accepting both prongs of the argument is that a marginal gloss identifying this man named James (with the one renowned among the Jews, according to Hegesippus, for his justice) may have been from a second century non-Christian Jewish scribe. Hi, I’m not sure if any comment to this relatively old post may be still valid. However, I’d like to comment the “jewish scribe gloss” proposal – which is intriguing. 1) Do we have any knowledge of jewish scribes/copyist transmitting Josephus’ work in jewish circles? 2) In case point 1) can be answered in positive, why a jewish scribe felt the need to add such a gloss? 3) If the jewish scribe motivation was historical accuracy, wouldn’t this be an argument in favor of a correct James identification (as a brother of Jesus called the Christ) by a knowledgeable jewish source?